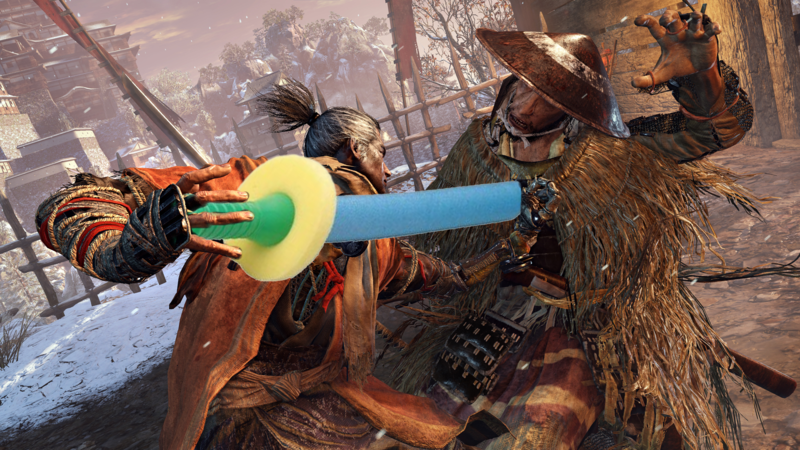 Difficulty Accessibility in Games: Does Sekiro Need an Easy Mode? I’ve seen a lot of talk starting to come up recently about difficulty options and accessibility in games. Of course the conversation is spearheaded by FromSoftware’s latest, Sekiro: Shadows Die Twice. This is a game that can be so infuriatingly difficult that we offered a whole list of curse words to use while playing it, but it’s not a challenge that can’t be overcome. Already players have managed to speedrun the game in under an hour. So is it just time for people to “git gud,” or is there something more behind the demand for an easier difficulty? Part of the reason I loved Sekiro so much is in the pure sense of pride and accomplishment it provides when you overcome any challenge. It’s balanced just so, in such a way that players need to learn and grow themselves, understanding the mechanics and also executing them with precision and mastery. Failing, and failing, and failing, and then finally beating that boss you’ve been working for hours to understand is an incredible feeling. As mad as I often got at Sekiro, few games have ever made me feel near as accomplished. Much of that accomplishment came from knowing that this was the game, like it or not. I wasn’t playing on a hard difficulty. I couldn’t back it down to easy to get out of a challenge. I absolutely had to overcome things myself. If I had the ability or option to make things easier on myself through a simple difficulty toggle, does the game’s incredible sense of accomplishment still manage to present itself? I have a hard time thinking it would. Sekiro would still be a good game, but it would just be another action game, with very little defining it as something particularly special. The difficulty wouldn’t be the special sauce of the game, it would just be an option. Of course on the other side of this argument, there’s a matter of accessibility, something that game developers have been making a much larger push towards now. There’s an effort to be able to include everyone in games, so things like colorblind modes have become increasingly common to help with visual impairments. Many games include tons of visual UI accessibility options, such as The Division 2. Outside of visual disabilities, huge strides have been made in allowing people with various other disabilities enjoy the same games that those without those limitations do. The PS4 even has the ability remap the buttons on your controller to make it easier to use for someone that cannot use their hands in the way that a controller is designed. So where does difficulty factor in to all of this? In a game like Shadow of the Tomb Raider, difficulty is a major part of the accessibility experience. Maybe someone’s not so great at precision aiming, but can handles puzzles and platforming without issue. They can customize the difficulty of various aspects of the game to match their own comfort level. Perhaps they don’t want to get stuck exploring the environment or in completing puzzles. Those can both be adjusted to the comfort level of the player too. It’s a pretty amazing and commendable feature that allows Shadow of the Tomb Raider to be enjoyed by the many. Many people just want to experience the story, or certain aspects of a game without feeling bogged down because they aren’t great at—or sometimes can’t even do—specific things within that game. So where then does a game with difficulty at its core land with this? I can see both sides of the argument. Sekiro is a very hard game, and I’ve got some nerve issues in my left hand that don’t make it any easier. But it’s also balanced in such a way that the game never felt unfair to me, which is something that most games with tiered difficulties often do wrong. Higher difficulties often just feel unfair with bad guys that have more health and do more damage. It’s too easy to blame the difficulty level for your loss. Sekiro never allows you to do that. Sekiro is all about rooting out your own mistakes, the things that you are doing wrong in combat, learning from them, and improving. But sometimes the gate to that content is not about skill level and “gitting gud,” but about the physical impossibility of completing a challenge. If my own nerve damage progresses the way it has been, then I expect that sometime within the next ten years a game like Sekiro will likely be physically impossible for me to complete. And my small disability pales in comparison to some of the real life challenges that many gamers out there face, making playing a game like Sekiro literally impossible for them. There’s a lot of irony in the conversation, as Sekiro’s playable character is himself disabled, missing an entire arm, which itself is a major gameplay mechanic. Having a physical disability is already a daily challenge for many people, which effectively makes a game like Sekiro twice as hard. Is it fair that a game presents such a wall based on its foundations in difficulty? Is this one game where difficulty needs to be accepted as part of the core conceit of the game to maintain its integrity, no matter who gets left out of playing it? Making a game accessible to someone with disabilities can often become an “easy mode” for those of us that are relatively healthy. 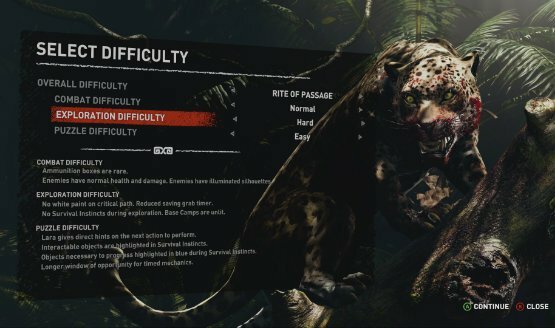 How do you balance difficulty for different types of players; those who would get through the game in under an hour, and those who find it physically impossible to even defeat the game’s earliest enemies? That’s not an easy question to answer. 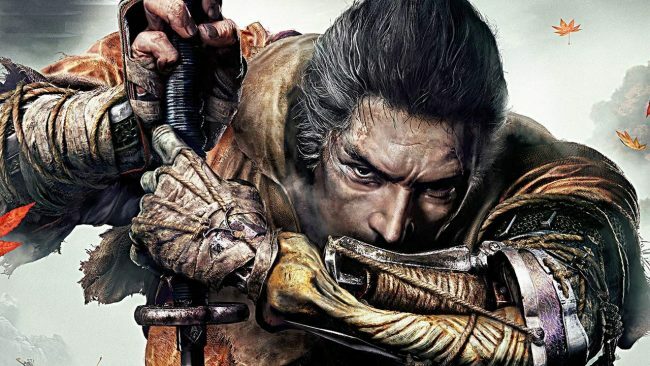 What I do know is that Sekiro: Shadows Die Twice is an incredible game and challenge plays a large role within that. I also know that everyone deserves the opportunity to play games. While I don’t have a good answer for Sekiro specifically, I hope that this becomes a larger conversation that developers start having as they build their games, considering every player at the game’s core. It’s not nearly as simple as the split between “git gud” or adding an “easy mode.” It’s about designing the central themes and a game’s identity around allowing as many people as possible to play, whether that game is difficult or not.